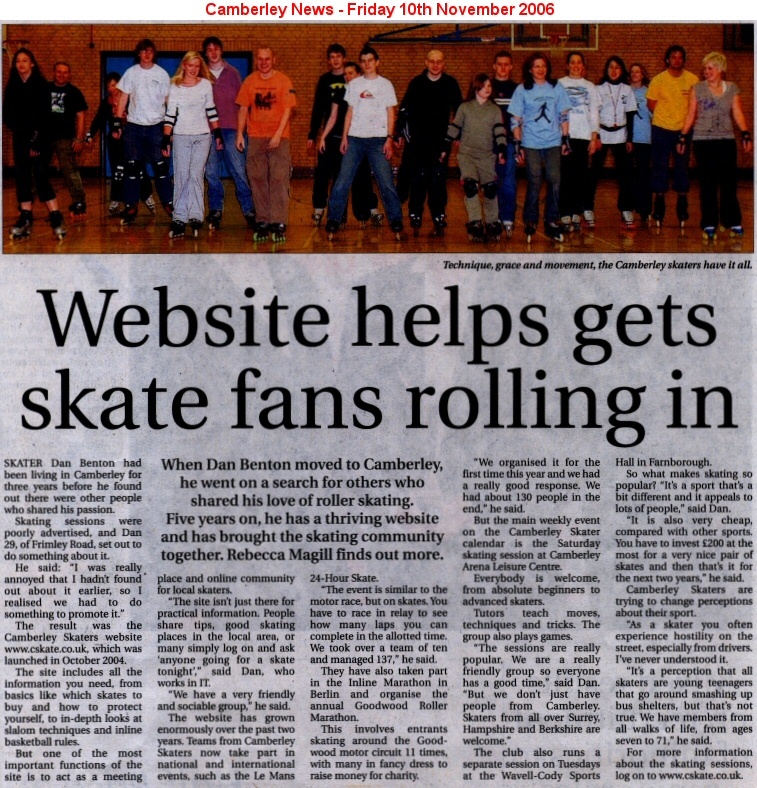 The Camberley Skaters are always getting strange requests and back in March 2009 we had a request for us to go on the (popular) TV show How Clean Is Your House. They originally wanted us to come along with some smelly skates but after much back and forth it was changed to a helmet with stickers on. Another fantastic trip to Le Mans for the 24 hour race… and you have guessed it, on skates! For those that don’t know the “24 Roller” emulates the 24 hour car race pretty well. Each team has up to 10 members (and three pit crew) and your team has to do as many laps as possible in 24 hours, they even do the Le Mans start where all the skates are lined up on one side of the track with skaters on the other. This year was hard work, both from the organising from (with the new job) and the actual event. In a complete change from last years heatwave it decided to rain this year. It could have been a lot worse though as it wasn’t driving rain with setting up the campsite and taking tents down done in the dry which makes a HUGE difference. The new rota went down well with people changing shifts every 40 mins (was 30 last year) which for 9 people meant 2 hours on and 4 hours off and it was fantastic having pit crew there this year! It made such a huge difference having someone to cook and wash up so that we could get on with sleeping between shifts. As per usual, the hotel on the Sunday night was bliss, a clean bed, showers and a slap up restaurant meal. Roll on next year.